The Humanaut Leader, JoeyG., released the visual for a single that will NOT be on NOSPACE., entitled “Hiii (All The Time)”. The track was produced by 24/7 who used the “Tove Lo – Habits (Stay High)” sample. JoeyG. definitely lets you in on why he is high all the time. The marijuana laws just passed in D.C. and Alaska, so I know they would appreciate this video. Ha! JOEYG. 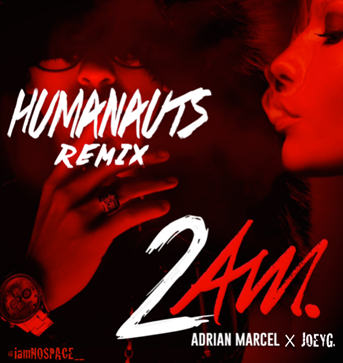 of THE HUMANAUTS remixes Oakland Crooner, ADRIAN MARCEL’s “2AM”. In preparation for his upcoming mixtape, NOSPACE, the Brooklyn emcee delivers confident New York swagger over bubbling Bay-Area synths which is guaranteed to turn up any after-hours party. Believe in the hype here. Straight Outta Brooklyn! JoeyG. of the Hip-Hop Collective, The Humanauts, releases the visual for his latest single “Zooted”. The hazy, trancing video illustrates his reunion celebration with a familiar friend. Take a cinematic look into the first chapter of his upcoming mixtape, NOSPACE and experience “Zooted” here. The video captures a raw and trippy emotion of a day in the life of this Brooklyn emcee making the perfect picture storyline come to life. NOSPACE is expected to drop this October. Stay tuned to his SoundCloud for more. JOEYG. the acclaimed rapper and leader of Brooklyn’s Hip-Hop collective, THE HUMANAUTS, just dropped his latest “joint”, “ZOOTED”. 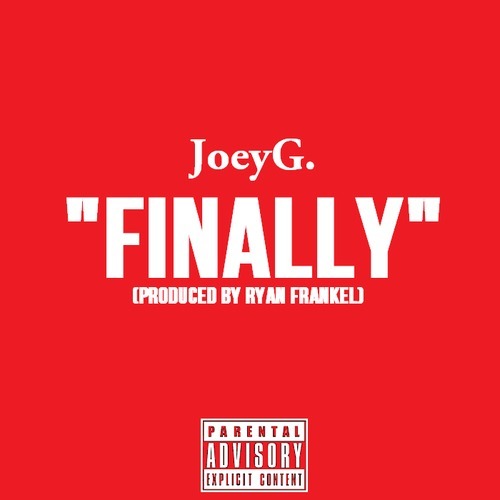 Brooklyn indie artist JoeyG releases a haunting visual for his first single “FYPM” from his upcoming solo mixtape, NOSPACE via ARTISTdirect.com. As a co-director, JoeyG teamed up with fellow Brooklyn-ite Llama to illustrate the scenematic, twisted insight into the mind of this young New York City emcee. The Brooklyn native has already become a favorite amongst critics and tastemakers for his inventive, intriguing, and infectious hip-hop sound. 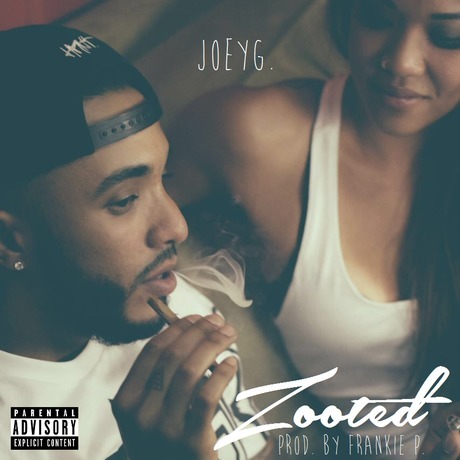 Being featured on DaLeak.com’s “Cosign” series, JoeyG has been named him one of the artists to watch for in 2014.